A pack seal essential for the maintenance and sealing of your engine. 7,08 € 7.08 tax incl. 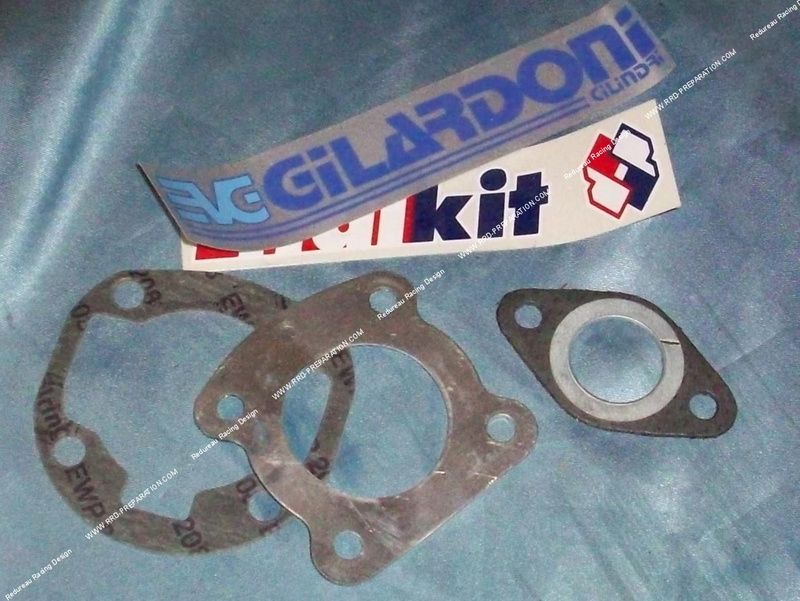 Replacement gasket set for 50cc kit Ø40mm GILARDONI Peugeot 103, fox and Honda wallaroo Very good it consists of an exhaust gasket Phase 2 circled strengthened, a gasket and a gasket base.